A recent article in the Washington Post highlights new findings in research about what dogs can understand and how much they can understand. The concept of communication with dogs is a crucial part of the TBTE philosophy. Stephanie writes more about that below. It’s so nice to see the scientific research support what the behavioral evidence shows – that dogs can truly understand us when we talk to them and use specific words and intonation! What has been most fascinating to me as I’ve continued to learn about dog behavior both when working in rescue and now working with my significant other in the training and rehabilitation of dogs is not just that they understand and see meaning in the words we use to communicate with them but HOW MUCH they truly understand and how complex their understanding is. One of the pioneers in this area of dog behavior is @KayceCover (Syn Alia Training System) – she, for many years, has been teaching and talking about the value of communication and information in human/animal relationships. And I see it every day in Mark McCabe’s work @TrainingbetweentheEars. We’re not just talking about idle chatter about the weather – but really significant communication about things that are important to the animal – like, what’s going to happen at the vet – not just that we’re going to the vet. Communication (or lack thereof) can be the difference between a dog living life in bewilderment and fear versus living with the knowledge that sometimes unpleasant things will happen in life but their human will always help them through those things. Imagine if you could teach a dog all of his body parts so that when you go the vet, you can explain what’s about to happen and you don’t have to have a vet tech hold your dog down but can have your dog voluntarily offer the relevant body part to the vet. Let’s face it, we’ve all told our dogs, “It’s okay!” when we go to the vet and the unspoken truth is that both you and your dog know that for the dog it really isn’t okay at all. With the right language and techniques like putting your dog in an appetitive state, the way you communicate with your dog can drastically change how your dog views things like vet visits. I’ve seen it happen with more dogs that you can imagine. The muzzle which was once a staple of vet visits for many can now be left behind. And if you can accept that dogs can learn their body parts imagine teaching them the names of people who come to your home and the names of dogs you run into on your walks, and the names of loud things like trucks, airplanes, fireworks, etc. How would it feel to your dog if you alerted them to the fact that they were going to hear some booms on the 4th of July? Or that the mailman was on his way? And to take it even further, imagine telling your dog that if he calmed himself down he could go meet a new person or sniff something that interests him. This complex concept of the “if/then” statement is, to me, one of the most surprising things that a dog can absolutely understand. And yet they do – and they show that they do by their behavior when you use it (and I have video to prove it!). 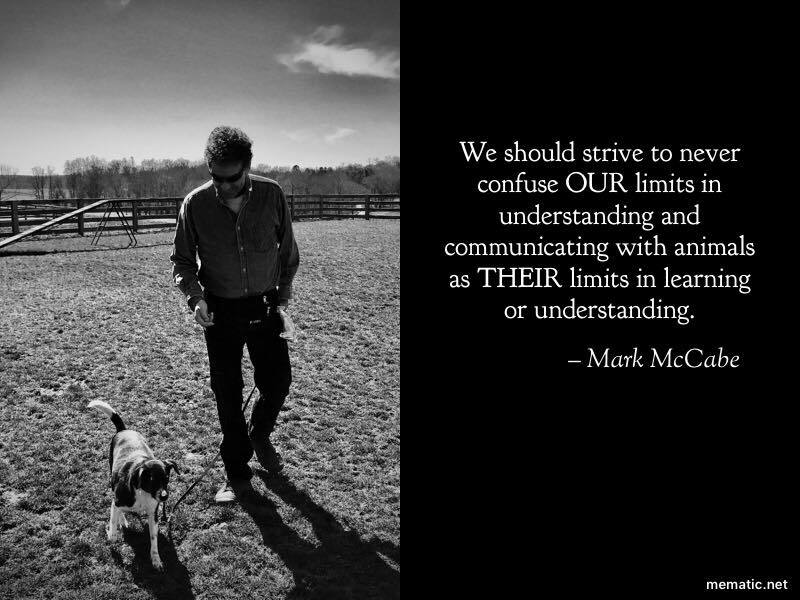 The dog training world has some pockets of amazing and innovative thought leaders out there – Mark and Kayce are two of them. 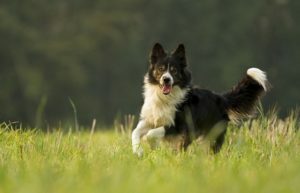 Theirs is a kind of training that respects an animal physically, emotionally, and intellectually. The bond between a human and their dog can be vast and deep with the right kind of communication and the recognition that words are meaningful to a dog. You as an owner can make a difference in a dog’s life by how you communicate. It’ll be interesting to see the research that will be done in years to come about how much more dogs understand than even the pioneers in this area think! 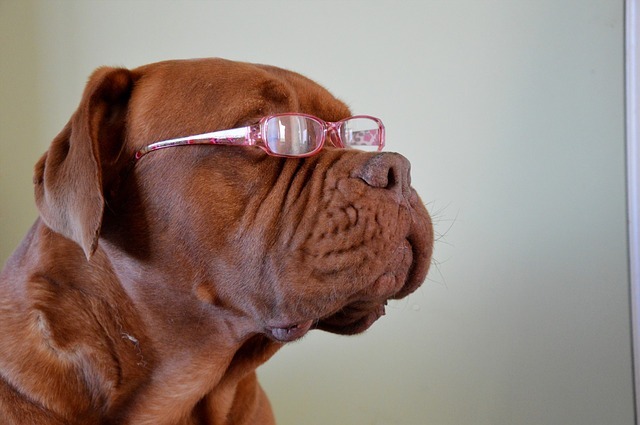 Is your dog an optimist? 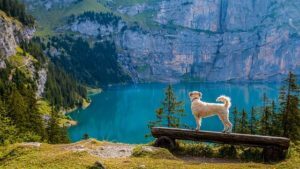 What do Grade Schools and Mountains have to do with dog training?